My two fave things, crafting and planes! 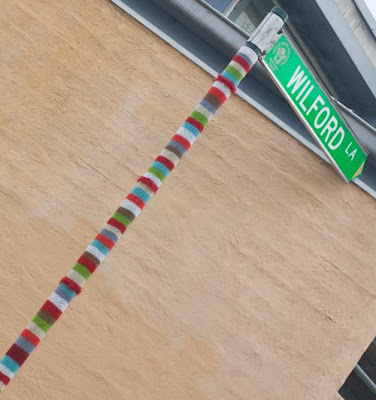 So this is my first Guerrilla Knitting Project, and I chose the Wilford Lane street sign cause I walk past here a LOT and so do some of my friends! I was going to sew it together yesterday but it rained for most of the day, I couldn't bare it getting soggy on its first day in the world! 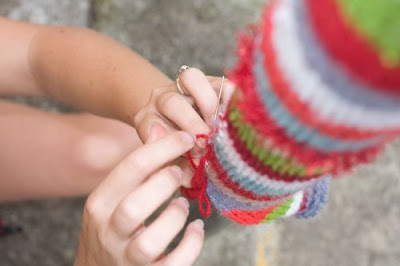 So this morning I sewed it together with the help of Husbie, who got some great shots for me too! It looks fantastic. I'm sad I missed it though. I was in Newtown this weekend, basically eating my way around Sydney and it's burroughs. 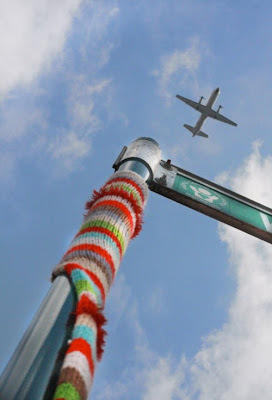 Would have loved to have stroked your lovely knitted street sign. yahooo! One in my own neighborhood! Stand Back Guerrilla Gardening in Redfern!!! 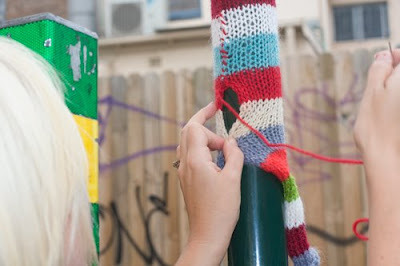 Knitting Yarn is taking over the street poles in Newtown!! I wanted to leave a comment on this post a couple of days ago but it didn't work so here's what I wanted to say, not that it is particularly important : I love the plane pics! I smile every time walk past that pole.